In 1961, more than 110,000 people spent time in New York City’s overcrowded jails, and the number was rising fast. Many weren’t convicted of a crime; they were awaiting trial and couldn’t afford bail. Bail is basically an insurance policy. 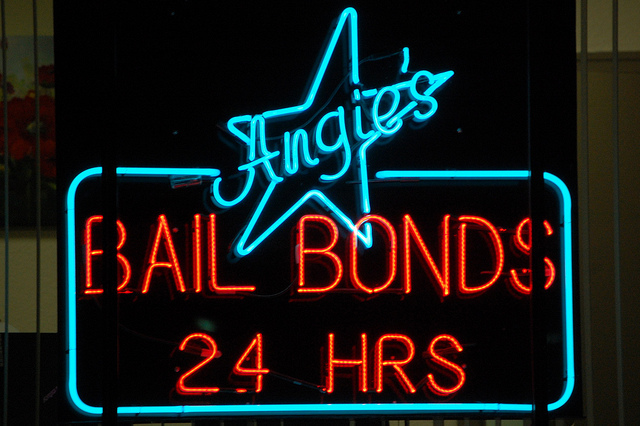 You (or a professional bail bondsman) put up something of value to insure you’ll appear for trial. Problem was, poor people, including many who worked in low-wage jobs, had nothing of value and not enough cash to afford a bail bondsman. So they sat in jail, often for months, before trials. There was another way: A judge at arraignment (that’s the court appearance immediately after arrest) could release a defendant on his own recognizance – basically because, in the magistrate’s judgment, the defendant was unlikely to flee. But most of the arraignment judges in New York or other big cities knew nothing about the defendants other than their names and charges. And since no one wanted to release a defendant who might take off – or, worse, commit another crime – it was far safer to send people charged with shoplifting, public drunkenness, disorderly conduct and assault to the Tombs, as New York’s jail was called, than to risk headlines. Enter a young man named Herb Sturz, who wondered if there weren’t a better, more humane way to treat poor people who had made a wrong turn – a way that could also save the city millions in jail costs. 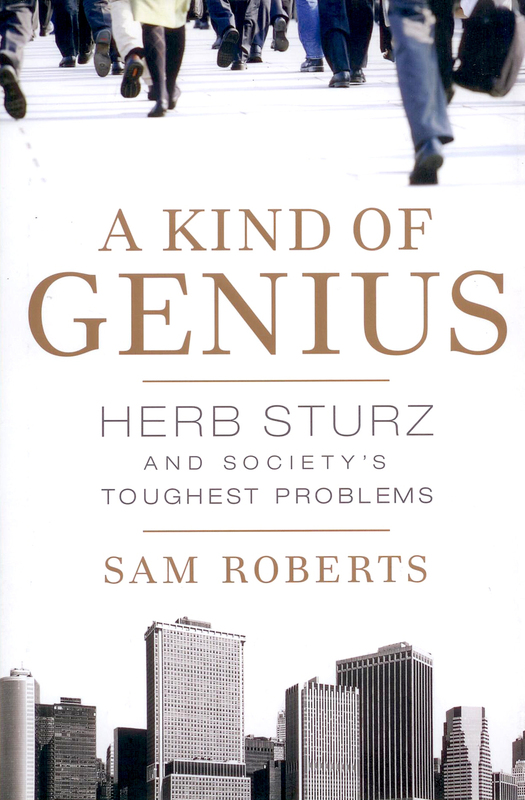 Sturz is the subject of a remarkable biography by New York Times reporter Sam Roberts titled “A Kind of Genius: Herb Sturz and Society’s Toughest Problems.” Briefly, Sturz figured out (by asking questions no one had thought to ask) how to create a better system of granting recognizance releases. Master the problem: Sturz had to know how the bail system worked and why it didn’t work better. Importantly, this wasn’t to point the finger but rather to know what had to be done to change it. Build trust: As with most things in cities, authority to change the bail system was widely dispersed among judges, prosecutors, the police and politicians (who feared a scandal should criminals be released too easily). If anything was to change, all had to convinced since any of them could have stopped reforms dead in their tracks. Make an overwhelming case for change: Nothing important ever changes unless you can demonstrate why it should change, so Sturz had to show – from the standpoints of fairness, economy and public safety – that the reforms were better that the status quo. Document the results: This was how he built trust. 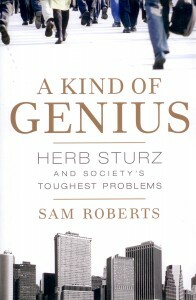 Sturz became a master of the “demonstration project,” which used controlled experiments to show that the reforms would do what he had promised. In the bail project, he and his team interviewed defendants and rated them for their suitability for recognizance release. Half who were judged to be suitable were recommended to a judge for release (and the judges overwhelmingly agreed); half were left in the old system (that is, some made bail but most stayed in jail). After a large number of these cases had gone to trial, Sturz could demonstrate that just as many released on recognizance showed up for their court appointments as those who made bail. More striking, far more of those who were released (on recognizance or bail) were exonerated or had their charges dismissed. (One theory: By being free, they had time to devote to their defenses.) The key was the rigor of the experiment, which made the results hard to deny even for those who could hardly believe them. In summary, then, when Sturz arrived at a solution, it was holistic, systematic and efficient. It brought along those who might have stopped it. And it was delivered with the right reasons attached – not indictments of failure but opportunities for savings and public acclaim – and often with the promise that it would ease the jobs of those who had to implement the solutions. It took a kind of genius – someone wise and persevering enough to assess what was wrong, quantify the benefits of fixing it to all the stakeholders in the status quo and devising a simple, just, efficient solution. He would pose questions that they hadn’t asked, even when those questions seemed mundane. And by peppering participants at every level with even more questions, by meticulously dissecting the responses, by crafting hypothetical fixes and subjecting them to challenging testing and experimentation, he tried his hand at transforming illusions into practical answers. This is the heart of “small-p politics,” which I wrote about in an earlier posting. It’s small-p because it’s not the politics you normally think of, of campaigns and vote-trading. This is about listening, questioning, relationship building and, eventually solution building. It’s about dealing with obstacles and answering objections (“what if he flees?”) and signing up the permission-givers. It is the patient, unglamorous work of removing boulders and building walls. But this is what the workhorses of our communities do as the showhorses wring their hands. Photo of sign by Troy licensed under Creative Commons.